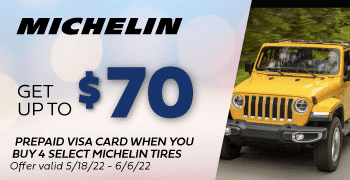 The Michelin 4x4 Diamaris is a Street/Sport Truck Summer tire. 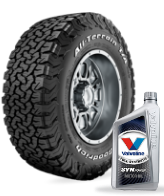 The 4x4 Diamaris provides Michelin’s highest level of wet and dry traction for luxury sport utility vehicles. 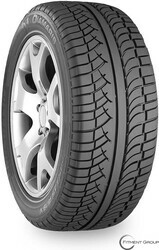 Michelin’s 4x4 Diamaris tire is available in the large rim diameter sizes appropriate for light trucks. 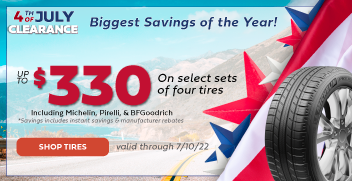 Michelin’s 4x4 Diamaris tire molds a wet weather tread compound into an asymmetric tread design that features large outer shoulder blocks contributing to steering enhancement and cornering confidence. The 4x4 Diamaris tire features a continuous center rib enhances steering precision and high-speed stability while two wide, circumferential and multiple lateral grooves channel water to reduce the possibility of hydroplaning. The 4x4 Diamaris’ structure includes two steel belts reinforced by Michelin's BAZ technology which offers stability at high speeds while enhancing tire uniformity and weight reduction to ensure even ride quality.